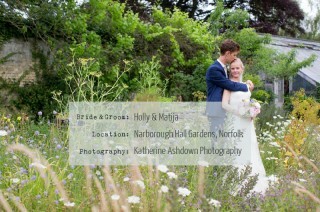 The gorgeous gardens at Narborough Hall make for such a beautiful backdrop to a wedding, and Holly and Matija’s elegant affair is no exception. Matija is Serbian and the couple were keen to honour some Serbian wedding traditions. 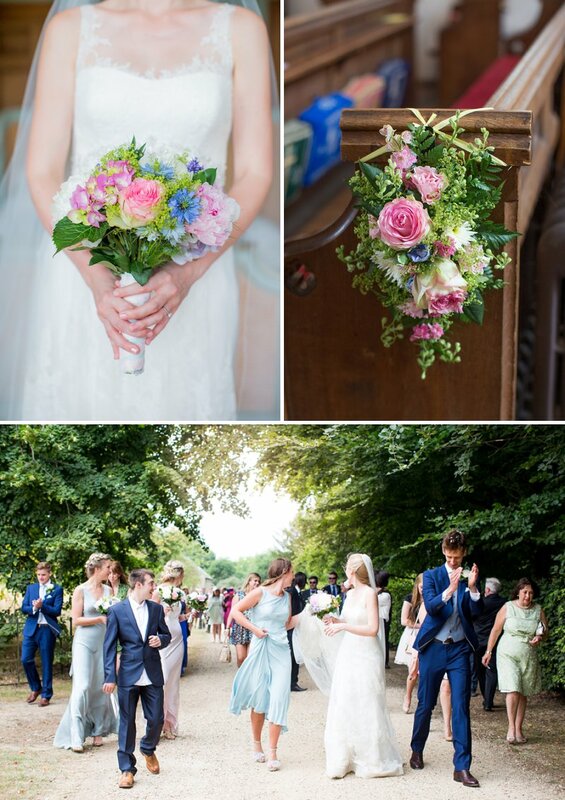 This included handing out bunches of rosemary and flowers tied with ribbon before the ceremony – thanking the guests for attending the wedding and as a symbol of fidelity, love and wedlock. Don’t you think that’s a lovely gesture? Along with the stunning flowers, they must have filled the church with such a wonderful aroma. The couple also hired The Balkanatics, a Balkan Brass Band, to serenade them as they walked from the Church to the Hall. The images of the wedding party and guests walking through the countryside with a brass band are amazing and it looks like such fun. 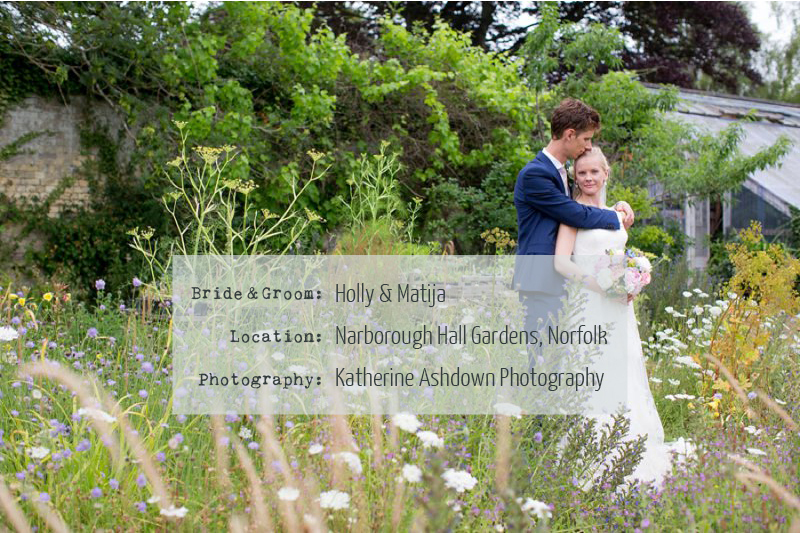 There are so many pretty details too, the gorgeous blooms, pastel Bridemaids gowns, stationery and Holly’s elegant Pronovias gown look beautiful in the images captured by fabulous Norfolk based wedding photographer, Katherine Ashdown.